As long as you insert the CD in the CD drive correctly (usually label-side up), playing a music CD is one of Windows 10 Media Player’s easiest tasks. Start by pushing the drive’s Eject button, a rarely labelled button that lives next to or on the disc drive on the front of your computer. When the drive tray emerges, drop the CD into your CD drive and push the tray back into the drive. Windows Media Player jumps to the screen to play it, usually identifying the CD and its musicians immediately. In many cases, it even tosses a picture of the cover art on the screen. The controls along the bottom, shown here, let you jump from track to track, adjust the volume, and fine-tune your listening experience. 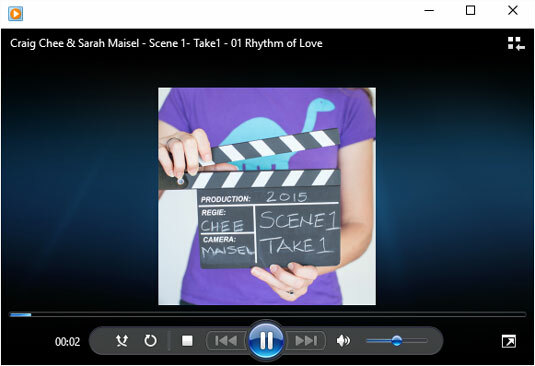 The controls across the bottom of the Windows Media Player enable you to fine-tune your listening experience. If for some odd reason Windows Media Player doesn’t start playing your CD, look at the Library item in Windows Media Player’s Navigation Pane along the left side of the window. You should spot either the CD’s name or the words Unknown Album. When you spot the listing, click it and then click the Play button to start listening. Press F7 to mute Windows Media Player’s sound and pick up that phone call. Pressing Ctrl+P toggles the pause/play mode.